1. Prepare quinoa according to stove top package directions. 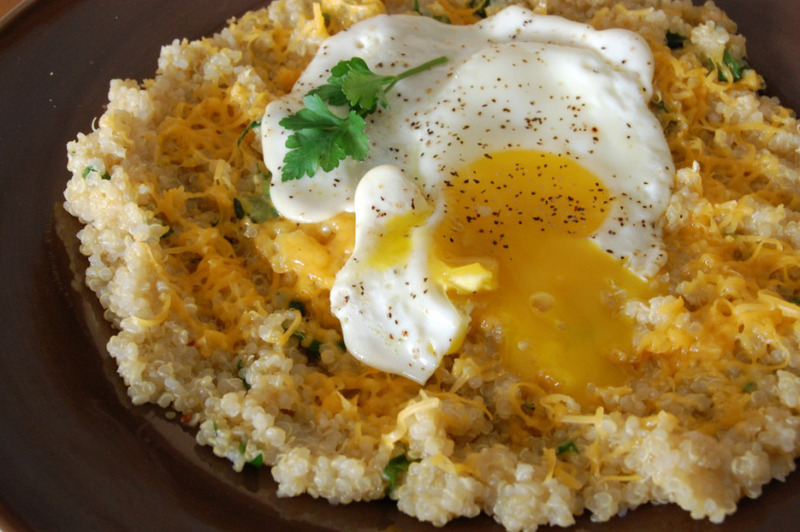 When quinoa is minutes from being done, heat olive oil in pan and fry egg sunny side up until white is set but yolk remains runny. Add salt and pepper to taste, if desired. 2. Stir parsley into hot quinoa, allowing it to wilt slightly, then plate. Sprinkle with cheddar cheese. Place egg on top. Serve.